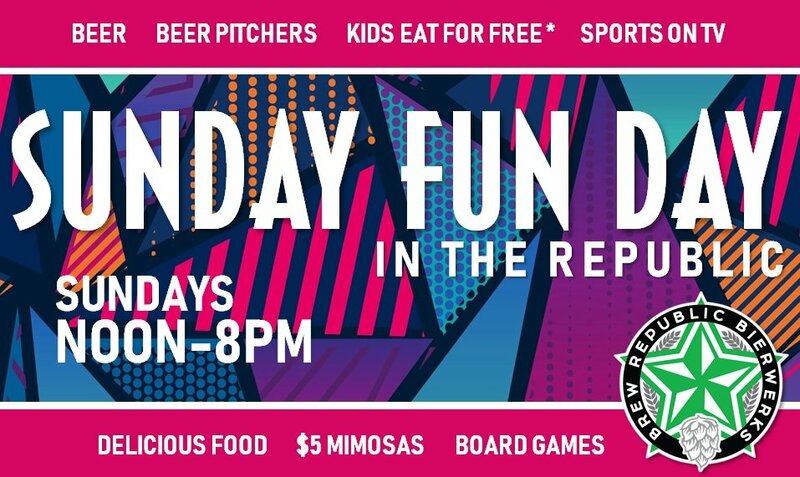 Home >> Events >> Specials >> Food >> Sunday Funday w/ Sports, Board Games, Kids Eat Free, More! Sunday means #SundayFunDay (patent pending) in the taproom, featuring beer, pitchers, $5 mimosas, board games, pro sports on TV, and delicious food. Plus, kids eat for free! * Doors open at noon.